Global Research & Strategy Group Ltd. conducted a telephone poll between July 12th and July 19th with a representative sample of 404 registered Bermuda voters. (Margin of error +/- 4.9%). All telephone calls were made in Bermuda using a team of talented local interviewers. "As the PRC conservation moves forward it is important to continue the dialogue with the community in a way that fosters education, compassion, and transparency. I am pleased to attach the full results of our recent poll," Dr. Leslie Steede, Director of Research. 1) The majority of the public DOES support granting Bermudian Status to PRC holders (57% percent support, 33% oppose, and 9% do not know). 2) A series of True/False questions, revealed misconceptions held by voters regarding what the rights of PRC holders really are. 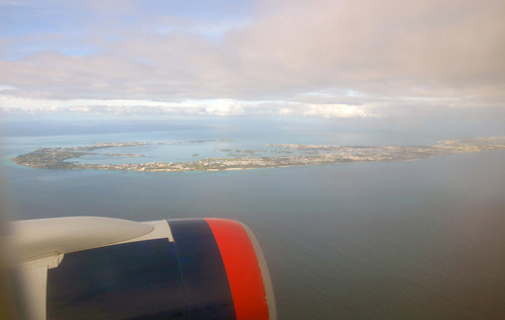 - Can PRC individuals buy homes in Bermuda (65% True, 23% False, and 12% Don't Know). - Can PRC individuals currently work in Bermuda without a work permit (58% True, 29% False, and 13% Don't Know). - Can PRC individuals vote in Bermuda (17% True, 72% False, and 10% Don't Know). 3) Majority of voters said that PRC individuals should have to be in Bermuda, 10-19 years (29%) and 20-29 years (28%) before they are entitled to Bermudian status. Global Research & Strategy Group Ltd is a local market research company owned by Dr. Leslie Steede and Nosheen Syed with offices in Hamilton, Bermuda and Vancouver, British Columbia, Canada.